I'm going to be honest - I only know of things to do in the city. There is an entire state outside of the city that I am not well versed in and have honestly not seen the rest of. 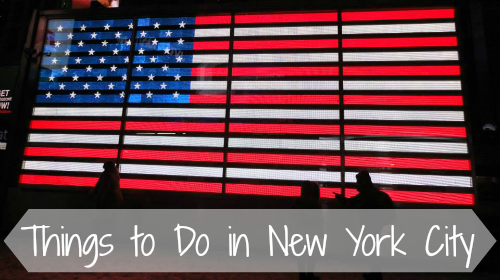 But here is a list of my top Things to Do in NYC. This is the best way to people watch - no seriously. 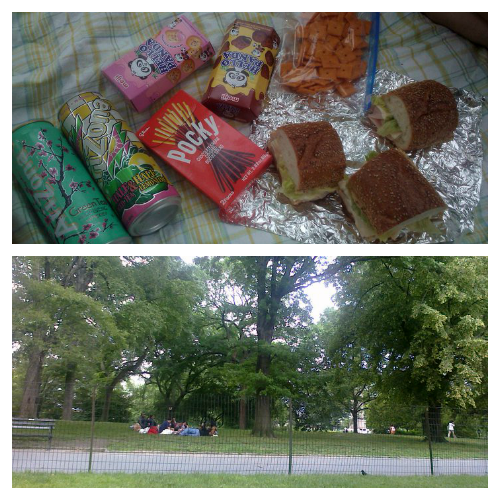 If the weather is nice pack a couple sandwiches, some snacks, and a blankie. Find a spot on the ground and relax for a couple hours. This little activity is near and dear to my heart because whenever I would visit Chris in the Spring (weather permitting) and we would go on a picnic just the two of us. When the weather wasn't nice - we had a snowball fight. But I don't have pictures of that because I was too busy worrying about if a snowball was gonna be shoved down my pants. I have spent so many hours in the museums there and I have no regrets. There are SO many museums there I had to visit at least one each time I visited. The Met is one of the first museums I actually went to - and it is absolutely gigantic. You can spend the entire day up there and it won't matter because you still won't see it all. Pro tip: The prices for admission at the Met are "suggested donations", you can donate however much you want! Chris and I have gotten in on pennies (literally) before. 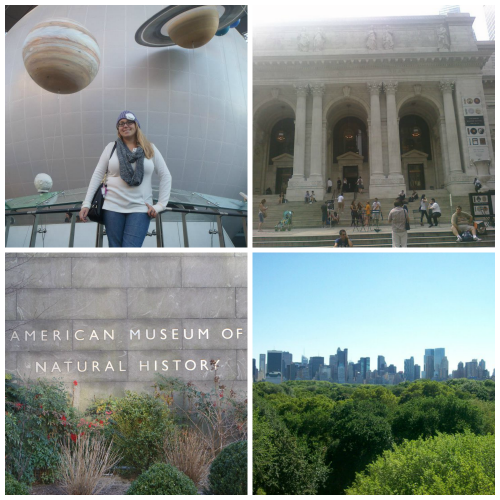 Another one (and my personal fav) is the American Museum of Natural History. Its got dinosaurs AND space. I mean, what more does a girl need? Another top contender is the Museum of Modern Art (MoMA). I think this one is weird, and I don't necessarily understand modern art - but it was awesome because they had some Warhols on display and if anything it was interesting. This is probably the place that is most iconic to NYC - and you should totally visit. Chris and I make a point to visit everytime we go just to see whats changed and what hasn't. Plus I'm always there around New Years so I always have to get a pic of the tower with the ball at the top with the New Year sign on it. Its also awesome for some shopping - albeit very expensive shopping. The experience in Times Square is in a class of its own - and if you're lucky enough to push by enough people you can get some fun shots on those red steps that I see on TV every year. On top of all the amazing shopping there are some pretty delicious places to eat. Chris and I always stop at Applebee's because I always seem to have gift cards - but there is also an Olive Garden and a few other places to eat in the Square. You can get anything you ever wanted here - from amazingly good fake handbags to deliciously authentic food. 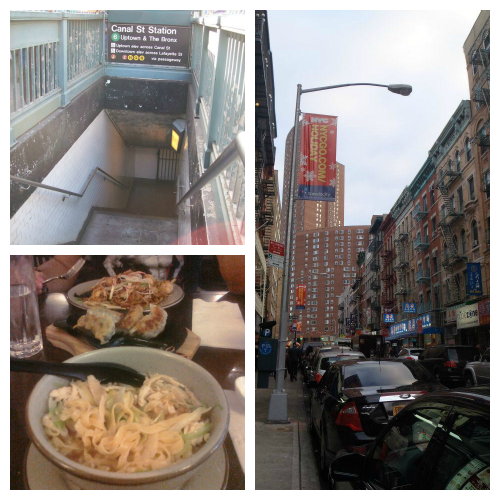 I have never had a bad time in Chinatown. There are PLENTY of cute shops to wander around in and even better deals to be had. Everyone is willing to haggle and you'll find yourself wondering "What is this...?" more than once. If you are a bit of a geek like Chris and I then the Nintendo store is going to be a MUST for you. The theme in the store changes all the time - I love going there because it is always decorated differently for the different major releases or they have super cute Christmas decor up. They have Wii U's and 3DS available for play and they also have some super cute souvenirs. I've bought a couple cute shirts and other things from there. Although I really want a Bowser backpack! See what's great about this giant Christmas Tree is that its right near Nintendo World! It makes for some absolutely lovely photos - and Chris and I always get a bunch of photos near and under this tree every year. They make for lovely facebook covers - and sometimes you can even have some lovely tourists take photos for you! I don't have any photos of this because well, I wasn't interested in taking photos. This is a humbling and very personal experience - I haven't been since the Museum was opened but it will be one place I visit next time. 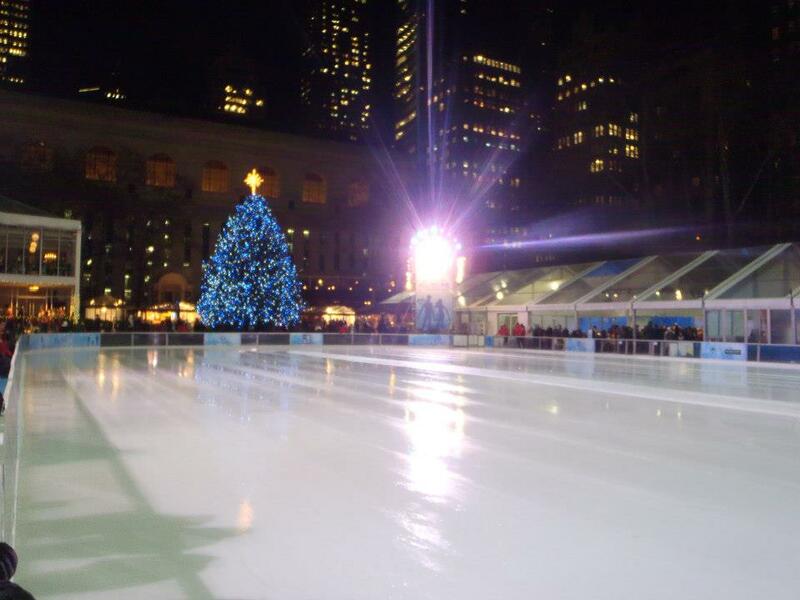 Bryant Park is probably one of my favorite places to go - even though when I go its almost always jammed with people. In the warmer months there was a carousel and you could get a sweet, cool, and refreshing treat from one of the pop up vendors. In the winter there is the large ice skating rink with multiple large Christmas Trees around and every popup vendor has something to keep you warm! Surrounding the park are some pretty fancy restaurants that I've never been in! Sometimes there is better entertainment underground and on the trains then there is above. People perform/dance/sing in the train stations - and sometimes they are pretty good! There are also little shops where you can buy snacks and whatnot in some train stations. The public transit is also the easiest (and cheapest) way to get around the city. Just don't fall asleep like Chris and I did and have to walk 10+ blocks to get home! No seriously - I've seen two broadway plays in my whole life. And they were absolutely magnificent! I've seen Mary Poppins and Chicago. 1. I loved Mary Poppins as a child - and my Aunt bought Chris and I outrageously good seats. I don't think I had ever felt that way about a play ever - until I saw Chicago. Now I'm just gonna outright say it - I love Chicago. No seriously, LOVE IT. I got obsessed with it when it came out in the movie theatres so many years ago, and I swear I've seen it like 100 times. Chris got us tickets to see it for Christmas one year - and I was that person in the theater who practically cried and danced and sang the whole time. Chris had never seen me fangirl quite so hard like that, and he still laughs about it to this day. 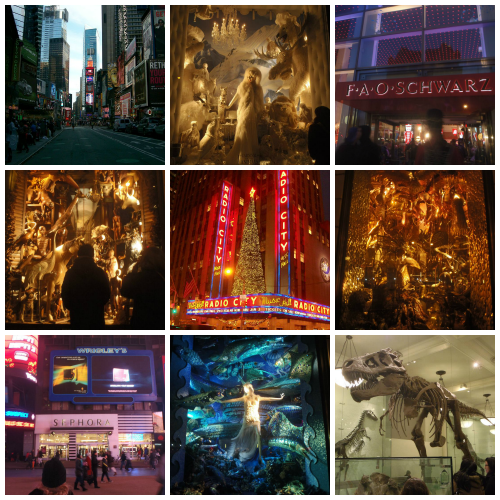 Overall: I have so many pictures that I wish I could shove into a single post - but these are just 10 things to do while in NYC. But don't forget to just open your eyes and take pictures of everything! 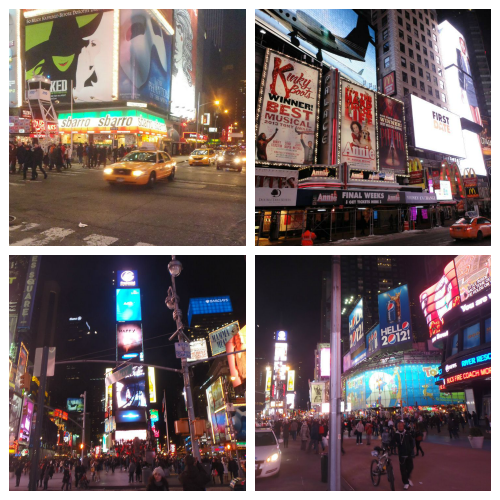 NYC changes everyday! 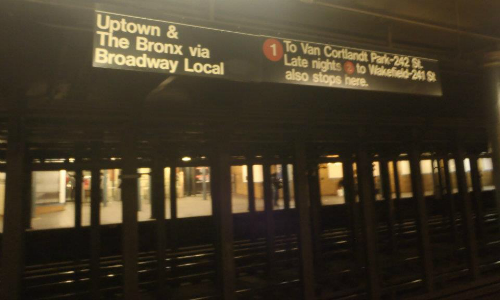 Getting into the city is super easy - a lot of people commute in everyday! I'm sure she'll get to do so much and it'll be a super fun experience! One day I'm sure you'll make it! 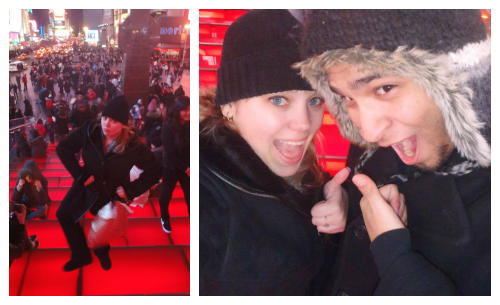 I went to New York about a year and a half ago and I loved it so much! Wish I'd known about Nintendo World though. 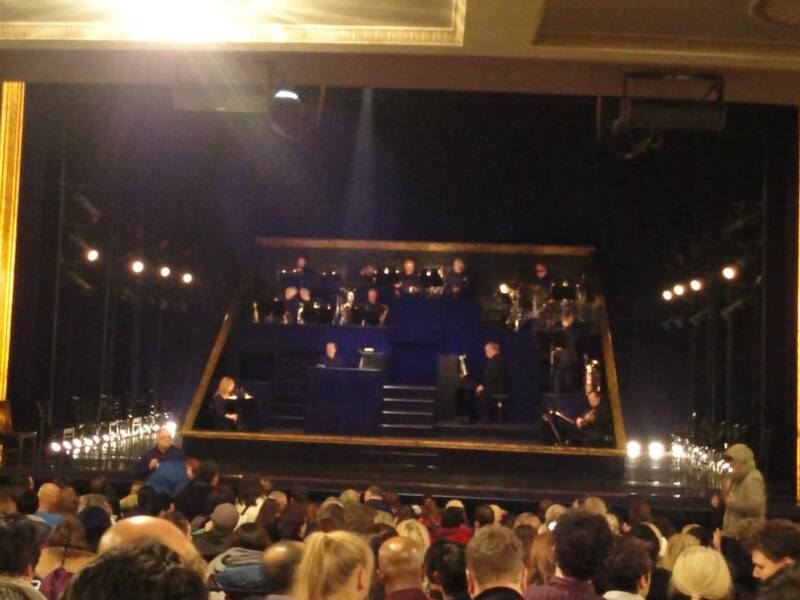 I saw Chicago on Broadway because it's my second favourite musical ever (and I looooooove musicals so it's ranked pretty highly). I really like this post as it brings back some great memories and gives me great ideas for if I ever got to go again!